Comments It is a gemstone as beautiful as its name. Featured today is a lovely Heliodor from Brazil of 2.39 carats that has been set in Sterling Silver as a men’s heliodor ring. The oval heliodor gem is a lovely medium golden yellow in color and has beautiful faceting that makes it stand out. 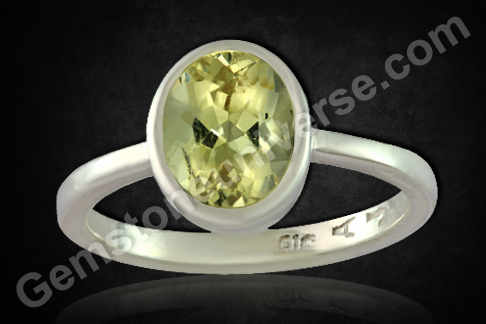 Heliodor is the substitute gemstone of Natural Yellow Sapphire or pukhraj. 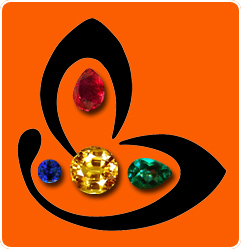 The gem can harness the powers of Jupiter also known as Brihaspati/ Guru. Apart from the astrological benefits of Heliodor, it is also a natural crystal that is known to be a repository of powerful ‘male’ or Yang energy. It is a gem that gives the wearer a lot of self confidence and assertiveness, if the person is timid. The Heliodor enables a person to actually own one’s power. It is a stone that fosters a genuine wisdom in the wearer that inspires pragmatic and better decision making. Heliodor is alternatively known as golden Beryl and some of the best quality of it is mined in Brazil along with the other members of the beryl group – emerald, aquamarine and Morganite.